When a band announces a hiatus, the news is generally met with a sigh from the fans and the sinking feeling that this is it; it’s all over. But back in 2012 when Thrice pressed pause on their collective career there was little doubt in singer Dustin Kensrue’s mind that this was the respite he needed personally, and that this would mean the band could eventually continue creatively. It wasn’t till around Thanksgiving 2014 that Dustin fired off a group text that would start to bring their lives back together. Sent after he and Teppei caught a particularly inspiring Brand New concert, the wheels were slowly set in motion. Due to their disparate living locales, the quartet began to share scraps of songs and ideas online, a process that’s commonplace for many, but somewhat foreign to a group used to thrashing out the majority of a record together in one room—and of course, they eventually did. 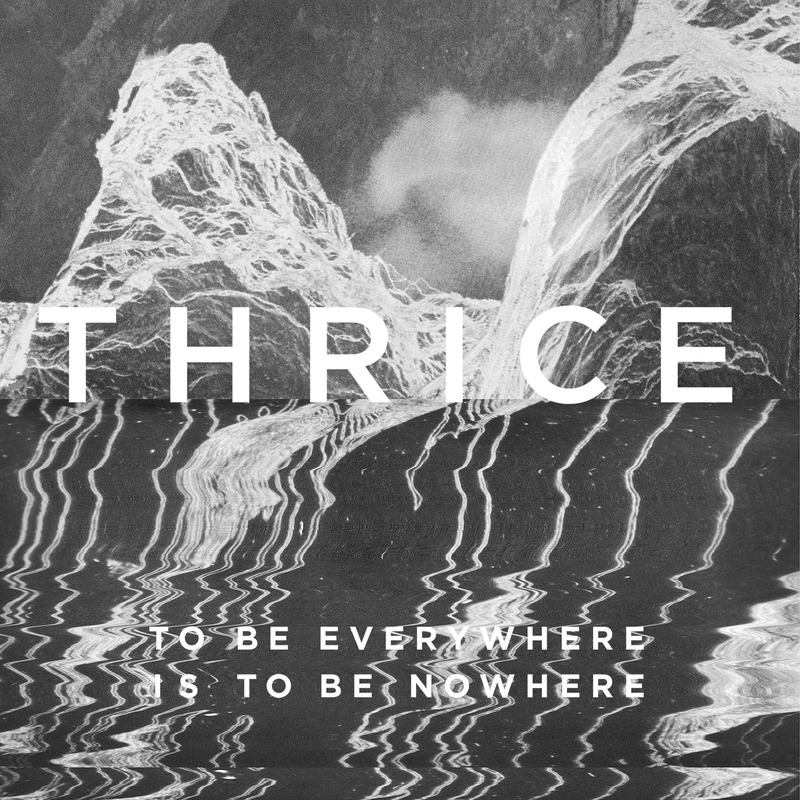 In January and February 2016 Thrice reconvened in Southern California for a period of six weeks to lay down their ninth album, To Be Everywhere Is to Be Nowhere, with the help of producer Eric Palmquist. For this record the singer found he was variously inspired by Stephen King’s seminal book On Writing, philosopher Seneca the Younger, and his feelings on modernity’s relentless connectivity, not to mention the relentless updates of news at home and around the globe. Dustin calls To Be Everywhere… his most vulnerable and most politically-minded album to date.